It may be from a credit on your account or a rebate check that has not been cashed. These funds must be claimed soon or, by state law, the funds will be paid to the State of Minnesota. To see if you have unclaimed funds with RPU, click here to see the most updated list. 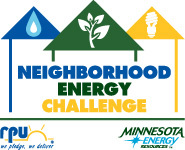 Still Time to Sign Up for a Neighborhood Energy Challenge Workshop! The next Neighborhood Energy Challenge is coming up on Tuesday, October 15 at 6:30 at Cascade Meadow Wetlands & Environmental Science Center. Attend this FREE workshop on how to save energy in your home. Follow the link for more information about the Neighborhood Energy Challenge, view future dates, or to sign up. Space is limited! You are currently browsing the Rochester Public Utilities | Behind the Meter blog archives for October, 2013.